Hitting 40yrs old was not the best day in my life. I always thought I has a positive outlook on life and hitting my milestone put many things into perspective, that I may have taken my eye off, for a long time, one of which was my health and fitness. This Blog was inspired by what I had achieved (not a lot to be honest) in my younger days and also through reading other blogs and books, in particular Andy Holgate’s “Can’t Swim, Can’t Bike, Can’t Run”. It will chart the successes, struggles and possible failures of moving my fat and unfit self off my sofa, into a different life……well that is what I am hoping anyway and the progress and details will be contained in the this Blog. How to take a 40yr old, fat man and turn him into a fitter, stronger and better machine / person. Is it possible? Only time will tell. I hope you will read and comment? I clicked through from TriTalk and the first thing I saw was a photo showing the outdoor pool at Stratford Park looking about as good as it ever has! Very atmospheric. I’ve not read much yet, but just wanted to say hi and also pop down some encouragement. I’ve gone from 88kg to 69kg in the last year and a half and boy does it make a difference, especially on the joints when running and the hills, which we’ve got plenty of round us! Keep at it. It’s absolutely worth it. Jeremy Bingham is awesome too – I used to go to his circuits classes when he ran them at Archway and they’re (and he’s) brilliant. Interesting to know about the swim clinic on a Saturday and the tri-swims on a Monday too. I really need to get back in a pool. I should pop by and say hi sometime! If you get an niggles and want a physio, I can’t recommend Geoff Twinning and his team at Five Valleys Physio enough. Geoff himself is a serious athlete, and has represented GB at triathlon amongst other things (swimming, modern pentathalon! ), so you get a pragmatic athlete’s approach to treatment, not a “well, if it hurts, stop running altogether” type approach. I’ll look out for you Falcons on the roads. Hi Danny, Thanks for your note and email, much appreciated! Impressive weight loss yourself over the past year, that is a huge amount to shift! My journey continues and progress os still occurring. The new RS Slice got recalled last week too……but I am keeping the faith and am pretty determined not to stop what I have started and all the trials and tribe lush me on. Where abouts are you based? I live in Painswick, but we cycle pretty much everywhere. I will look out for you, but if there is an opportunity to train with you, it would be a pleasure. Really good to meet you last night at the inaugural Stroud Valley Tri club meeting. (making my plug for the name). Just wanted to say that I read your article in the Triathlon mag back in May and was very inspired by it. I started my journey in January 2013. After weighing in just before Christmas at 18.5 stone my wife said enough was enough. Since then I’ve lost 3.5 stone and I’ve done two sprint tris and an aquathon. I’m working out 3 to 4 times a week mixing swimming, cycling, spin classes and running. I’m now aiming to do a Olympic length tri next summer. Keep up the good work and I look forward to training with you and th other with the Stroud tri club. I came across your blog as I joined the Clydesdale Cycling Club this week and noticed your profile as someone from the UK and just clicked on it out of curiosity. As I read your blog a lot of what you had written resonated with me as I have just lost 6 stone i still weigh 22st so a bit of a way to go and am also training for my first triathlon on June 9th. As I read a bit more I realised you actually came from Stroud as do I!!! It was the reference to Noah’s Ark that rang the bell as I just bought my first road bike from there last month. I am really struggling with 6 weeks to go to feel ready and although the cycling is going well, the swimming and running dont seem to be coming on as I would like. Is this something you found to be the case? What tips would you have for the first time big boy triathlete? I live in Painswick and work out at Stratford Park wiht Jeremy Bingham, so all pretty local stuff around Stroud. We should meet for a bike or run soon! Living where we live, the hills are a killer on a bike or running. I’m OK on the bike, but like it more than the other two sports and go out a couple of times a week, from home or the 12 Bells at Widcombe, into C’ham / Tewkes / Glos etc. We started a MAMIL (middle aged man in lycra) cycling club (Falcon Velos Painswick) and at least 2-3 of us usually ride together regularly. The running: the guy I bike with, his wife is a mad keen and ace runner, so she has taken me out for a beasting once or twice a week for the last couple of months (Jan to March), training for the FOD 1/2m which got cancelled due to the bad weather and re-scehduled when I was in Mallorca cycling….so still to be done! The thing is consistently going out and doing a bit. If you need to run 5km, start jog/walking a minute and a time for each and then reduce the rest, or increase the run portion. It does take time and I still hate it TBH, but every now and again a strange running utopia does occur and it all feels good. Don’t try to do too much, too fast, too soon, but get the mileage, even walking, under your belt. Swimming: I’m more whale than fish, but sadly without the under water ability of either. Andy at Corinium Fitness at Cainscross does swim workshops every saturday. I used to go, but now my life schedule means I cannot always make these sessions. They are held at Archway School and cost £5 a go. Andy is an experience and top guy and can give you some guidance for the swim. 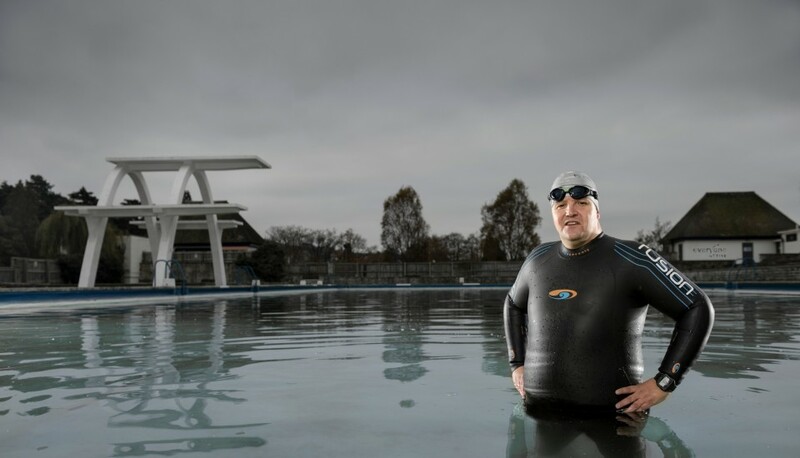 He told me last year I was only swimming half a stroke when I met him at the swimming lake in Cirencester Water Park and it made a lot of difference. Again, its all about getting in the water to look at your stroke, body position (long, straight and flat, but rotating on each stroke), breathing in and out, kicking action and looking to improve the quality of every stroke. I am still rubbish, but the speed is getting better, I’m more efficient etc…..I have had a couple of one to one lessons with Andy and at Stratford Park, but there is a lifetime of improvement still to happen. Unfortunately nothing in Triathlon (or life) is truly easy, otherwise everyone would be good at it and doing it. What Tri are you doing in June, is that the Westonbirt School one? I need to get my name down for some others, I am only down for two now. I was thinking if a 1/2 IM distance, but this is a huge step and at the moment too much for me in 2013. Pack all your stuff in a big plastic box (cycle shoes, trainers, glasses, glide/anti chaff, drink, sun lotion, gloves, helmet etc. so it all there and ready, then re check ! Rack your bike and place your gear out on the ground in ‘use order’ – bike stuff at the front, hetmet on top of your bike, bottles on bike etc. Trainers and hat for run at the back. Then it starts: Start the swim, but not too fast, you will have 12-20 lengths of a pool or a seeming longer way in a lake. dont worry about anyone else and just swim. If anyone gets in your way either swim around or over the top of them….sounds harsh, but last year in september I got battered three times in a minute! Swim as well as you can. If you are practising you should be able to speed your arm stroke up at the start and the end for a quick off and flourishing finish, relaxing into the middle bit. For the bike, if you are best at cycling, pedal like fook and get the job done, overtaking as many as you can and then get off and with your shagged legs, trundle around the run as best you can. That is possibly not the best or most scientific advice you might ever be given, but that’s what I did last year and what I will do again this year. My logic, why hold back on the bike when I am not a great runner and will not be running at 7-12mph, maybe 4.5-5.5, but not much quicker than this, pretty much ever and certainly at the moment not for long periods of time? You will get passed by ‘slim athletes’ who in most cases will give you a cheery pat on the back and a decent word of encouragement. You will enjoy it, possibly more when it is over, but the support everyone gets is pretty good. No matter what size, weight, age etc…..each person makes the decision to pay their money, train and turn up…….the people on the side of the street didn’t and I believe there is a respect for everyone who competes against themselves on the day….at least that makes sense for me. So its not rocket science really, but I have a very long way to go! It is a journey and I’m liking what is happening at the moment, but crave more! Let me know about the training. We also have a tri swim club on Monday nights, 1930hrs through Jeremy Bingham at Stratford Park, is not too serious and just lane swimming. Come along? Let me know and speak soon. Thank you for checking out my blog! You are inspiring, the journey may have ups and downs, but I assure you the experience will be life changing for the better. I look forward to reading your progress. Your Gravatar image keeps giving me nightmares. ;-/ But I power through it so I can read your blog. Hi, I should change it, but have always used it, for some weird reason! Hi Grant. Thanks for visiting my blog. Sounds like your first six months of the journey have been very positive – I take heart! My first focus is the swimming – such a long road ahead but very exciting too. Hi Annabel, the past 6-9 months have been challenging, amazing and truly interesting. I have learnt many things, but mostly that I made a good choice to reclaim time for myself and my fitness / body and soul. Keep on with the swimming, I’m on a similar journey myself, trying to become ‘more like a fish’!